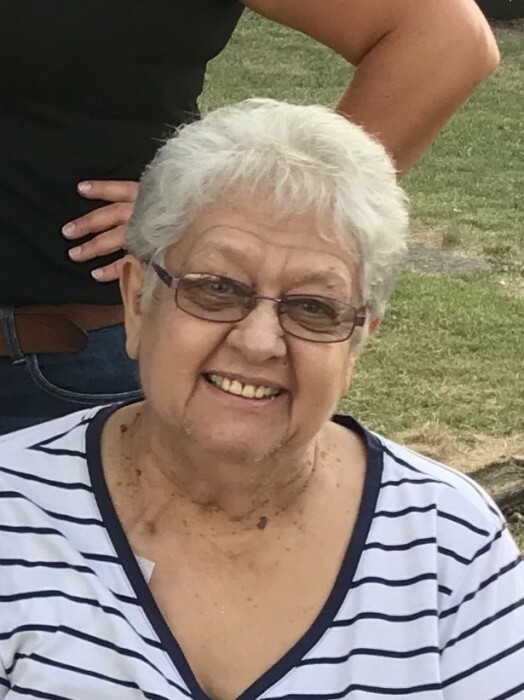 Julia Kay (Holtsclaw) Califf, 77, of Hamilton, passed away on Friday, November 30, 2018, at Montebello Healthcare Center in Hamilton. Julia was born on February 22, 1941, in Keokuk, Iowa, the daughter of Ralph Batty and Esther Ellen (Hamburger) Holtsclaw of Hamilton. On June 3, 1958, she was united in marriage to Robert Jerry Califf in Macomb, Illinois. He survives. Julia is survived by her daughter Cindy S. (Tim) Hempen of Hamilton, Illinois; her son James S. Califf of Hamilton; her sister Judith A. Bolton of Nauvoo, Illinois; her brothers-in-law Harry William Califf of Hamilton and Elbert Allen of Quincy, Illinois; five grandchildren: Heather N. (Rob) Huntley of Surprise, Arizona; Hillary B. Hempen of Hamilton; Haleigh L. Hempen (Nicholas Bell) of Hamilton; Tiffany D. (Jason) Baxter of Hamilton; and Robert Brock Califf of Fort Madison, Iowa; and six great-grandchildren: Robert G. and Hayden N. Huntley of Surprise, Arizona; Jazlynn K. and Jada L. Huston and Justice M. Mason of Hamilton; and Harbor S. Hempen of Hamilton. Other survivors include several nieces, nephews and cousins, and her loving dog Buddy. Julia is preceded in death by her parents, her sons Rex B. Califf and Robert A. Califf, her brother-in-law Lavern Bolton and her sister-in-law Patricia Allen. A lifelong resident of the Hamilton area, Julia was employed as a USPS rural mail carrier in Hamilton for thirty years until she retired. She was a member of Eastern Star for over fifty years, and served as past Worthy Matron of Pocahontas Chapter OES. She was also a past member of Illinois Rural Letter Carriers. In her free time, Julia enjoyed visiting on the phone daily with countless friends and spending time with her grandchildren and great-grandchildren. Funeral services will be held at 11 am on Wednesday, December 5, 2018, at Printy Funeral Home in Hamilton, with burial to follow at Oakwood Cemetery in Hamilton. Visitation will be held on Tuesday from 3 to 8 pm, with family meeting friends from 6 to 8 pm at Printy Funeral Home in Hamilton. Memorials in Julia’s memory may be directed to the American Heart Association.